Staterooms 6016, 6018, 6020, 6021, 6023, 6025, 7014, 7016, 7017, 7018, 7019, 7021, 7140, 8006, 8007, 8047, 8048, 8049, 8050, 8051,8052, 8053, 8054, 9004, and 9005 have partially obstructed views. 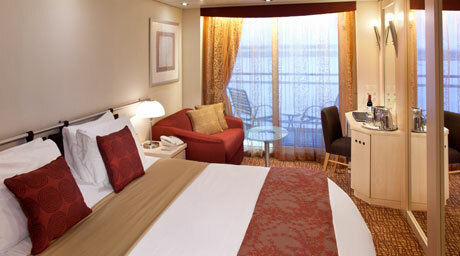 Some staterooms are accessible for wheelchair users and other guests with disabilities, and include roll-in showers. 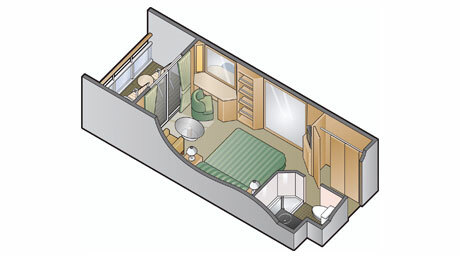 Please see the specific ship deck plans for the locations of all wheelchair accessible staterooms.